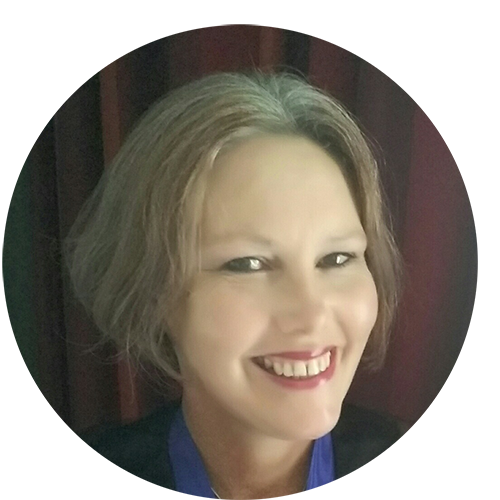 Are you ready for a new career as an independent celebrant? Heart-led Ceremonies Celebrant Training is intense, creative, practical, inspiring and thought-provoking (and for some students, completely life changing), but it also involves a huge level of commitment from the student not only during the face-to-face training but afterwards with ongoing Skype sessions between the student and the tutors. Unlike some training organisations, our certificates are issued on aptitude not attendance. This guarantees that any of our working celebrants are of the highest professional standard in the industry. 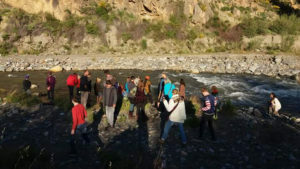 The two-day course runs from 10am to 5pm. On the first evening you will have FOUR hours of independent learning time which includes written assignments to be completed in full by the next day. The five-day course runs from 10-5pm, with TWO hours of independent learning time (for each of the first four days) which includes written assignments to be completed by the next day. This training is person-centred, and offered in a relaxed and nurturing environment. Lunch and refreshments included. Please note that this fee is tax deductible once you start working as a celebrant. This small, intimate group training is offered twice a year. Two-day training with successful students receiving a Certificate in Celebrancy. Please Note: All options include at least ten hours follow up by Skype or Facetime, as well as being included on the closed Facebook group for successful graduates where they’ll receive a weekly newsletter with hints, tips, guidance, as well as other support. ♥ Understanding ceremony structure. 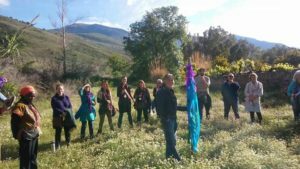 If you know how to create one type of ceremony you can create any ceremony (hence the reason this course encompasses funerals, namings, weddings, and other rites of passage). ♥ Recognising the skills and qualities necessary for personalised and professional, heart-led, celebrancy. ♥ Funerals and Memorials (Understanding grief, family disputes, working with funeral directors, creating meaningful farewells, cremations, burials, eco-burials). In the five-day training, you may be able to include a visit to the crematorium or a funeral director. Both private training options may also include shadowing Veronika at a funeral or family visit. ♥ Other rites of passage, such as menarche, blessingways, sagesse (wise crone), new business, divorce healing, and more. I just wanted to thank you for sharing so much with me over the past three days. Your cosy cottage. Your beautiful smile. Your amazing knowledge. Your delicious cooking. Your energy. I hope I will take a little bit of Veronika magic with me wherever I go. A very heart felt thank you for all you have given me over the last two days. Spending time in your presence has been a real gift. Your knowledge, your warmth and hospitality and the essence of who you truly are have been so precious to me and I feel I am entering into the world of celebrants in the best possible way. As soon as we met I felt a real connection and I feel so blessed to the universe to bringing me to the depths of the North West! Thank you to Paul, too, for providing the link between the words and the presentation. 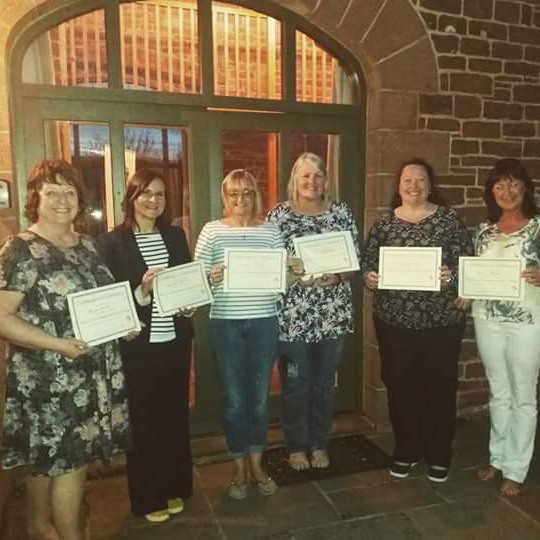 Just wanted to thank you so much for making my funeral celebrant course such an enjoyable one. You were very kind and welcoming and have such a relaxed but professional approach. And we had some giggles! I was pretty nervous about coming up but I loved every minute; and if I can be half as good a celebrant as you, I will be very happy! “You have that special kind of something that money just can’t buy. What you do so well is package up little bundles of skill and know-how so that we can craft our own ‘special something’ ~ heart-shaped, of course. Sometimes it happens that people, along with their teachings and learnings, come along just when they need to. Perfect timing from the Universe, in leading me to you. I don’t know where the experience of last weekend will take me… but wherever it is, I will go with love. I just wanted to say an immediate thank you for your wonderful weekend Celebrant Training. Now I am home, the magnitude of all you shared and explained is starting to sink in. I am more than sure that yours was the right training programme for me. Thankyou. Amelie and I are both quite blown away by the whole idea of becoming a celebrant ….you have definitely started something within us both. Those two days were an absolute treat for me! Thank you so much for the wonderful and mind-opening days I spent with you this week. I loved every minute of learning about celebrancy even though the tears it brought out may have suggested otherwise. I’ll get those ceremonies typed up asap but just wanted to say a heart-felt thank you first. You obviously have a gift for listening. My mind is permanently racing so I don’t listen as well as I could, and now I’m trying to slow it all down after meeting you. Just wanted to say a heart-felt thank you. “As I sit on this sunny morning, thinking about the Moving Ceremony I am working on, my thoughts wander to my training with Veronika and Paul and the delicious, heart-full time I spent steeping in, well… Feelings. This training was, more than I could have imagined, a really personal journey, into the place where my heart meets the world. To be a Heart-Led Celebrant of course requires tapping into the territory of this deep well of emotion, which Veronika so skillfully walked me through. Considering so many aspects of potential clients- their stories, their emotional states, expectations to work with, I felt at moments overwhelmed, though soothed by the support of my two teachers on this journey. 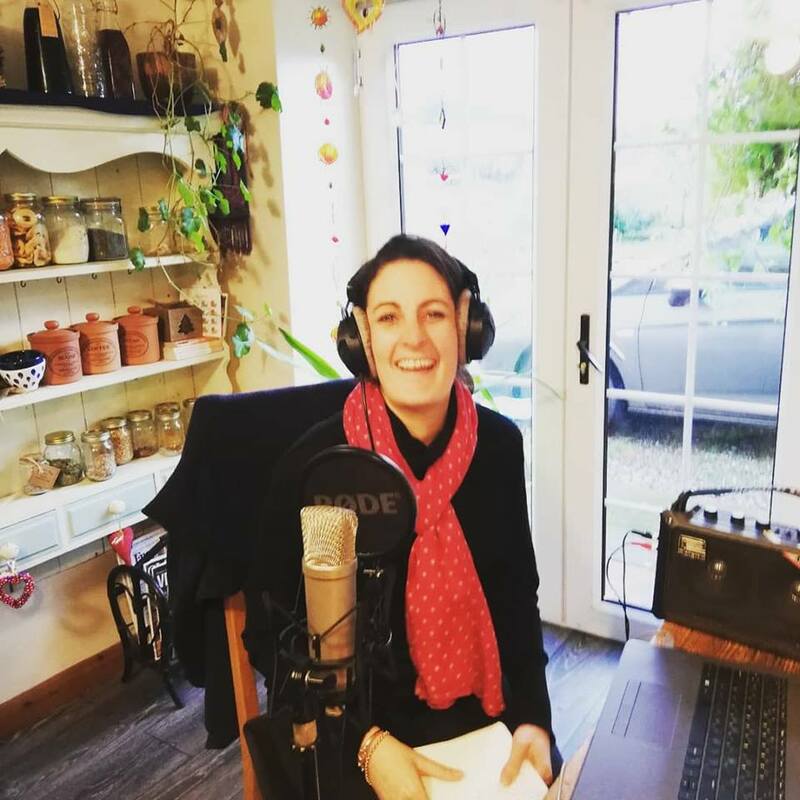 There were the very useful practicalities of being a celebrant that give me confidence in being able to begin this work, AND, what was so unique about this training was the space they held for real depth, beauty, sadness, to be welcomed. In order to really, truly serve those who choose me as a celebrant, I need this ability to really Listen, and to glean what is important to my clients. To do this I need to know myself even better. I was given the opportunity to really feel the importance of this work, the possibilities of holding space for others to truly shine, to deeply feel their own connection with life and love, with death and grieving. The work of a celebrant is sacred, and Veronika and Paul, each in their own way, shared the skills that keep this work sacred. When you anticipate excellence but what you get is even better? I had toyed with the idea of being a celebrant since Veronika led my daughter’s tender and unforgettable naming ceremony in 2004. I knew without even looking that any courses I found would not compare to what Veronika had delivered, so that idea took its place in the “That would have been nice but…” file. When Veronika announced the certified celebrant training course with Heart-led, just at a point in my life when I was thinking “hmmmm, I wonder if I could shadow Veronika during her ceremony work” I jumped at the chance and am so very glad I did. Such a complete and wholesome training given by Veronika and her husband Paul, with the perfect balance of philosophy, creativity, spiritualism, structure and humour, every angle covered including voice training, and amongst a group of the most wonderful, inspiring women I’ve met in a long time. I left feeling healed (bonus! ), re-booted, fulfilled and with everything I needed to shine in this field, with Veronika’s light guiding my way. Heart-felt thanks and deep gratitude for sharing so much of yourselves with us. Your light shines on in the world. Thank you so much for my inspirational weekend. 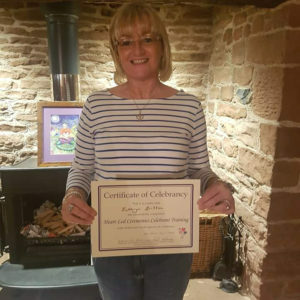 I gained so much from the course, not just in terms of knowledge and skills, but in terms of getting to know myself better and the reasons why I want to be a celebrant. Your hospitality on top of the course content was second to none. 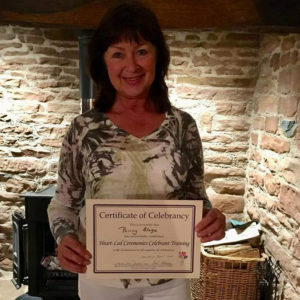 I cannot recommend this course strongly enough to any other potential celebrants. Thank you for your love and support throughout the weekend. Veronika officiated my wedding to Nicola just over a month ago. The ceremony was unequivocally the most beautiful hour of my life. The ceremony, the process preceding the ceremony, and Veronika herself were so inspirational that I have just completed her first Heart-led Ceremonies Celebrant Training course. What a weekend! I loved absolutely everything about it. It was truly heart-led. 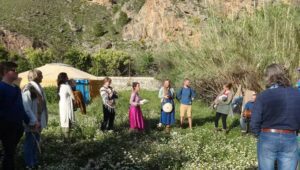 I had been looking at becoming a celebrant for over a year. I’d done a lot of research before looking for someone to train me. 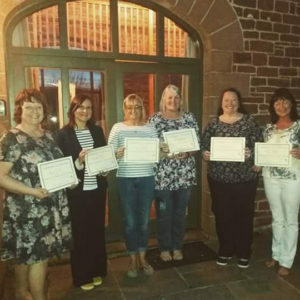 Well, looking at training there are quite a few, but on looking I became disheartened as what I thought being a celebrant was all about was not being reflected on the training providers I was looking at. Some of the feedback from other people on some social-media platforms just went to show it is all about making money, rather that delivering a service to people at the most important and emotional times of their lives. 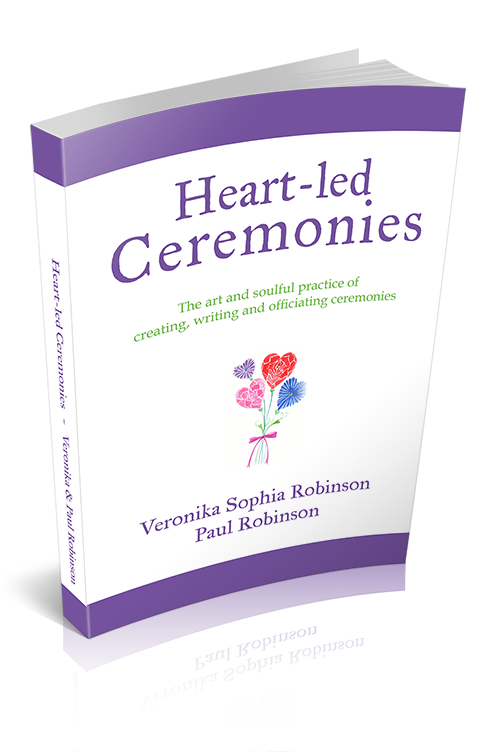 I was then made aware of Veronika and Paul Robinson, and their Heart-led Ceremonies Celebrant Training. 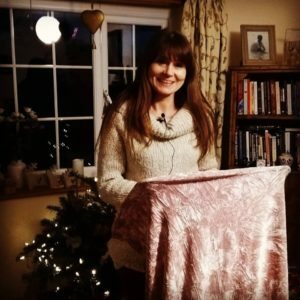 On reading Veronika’s beautifully written website, you feel the right emotions straight away, and that’s what made my mind up to book the one-to-one training. From the moment I met Veronika and Paul, I knew I had made the right decision. The training is challenging, and intense. But, at the core, it is all about delivering a quality service to clients. It’s all about showing love, kindness, and compassion, and feeling the client’s emotions, because by doing so, you can create heart-led, unique ceremonies which do make a difference. Veronika and Paul take you on an emotional journey, and it is all about love, quality, love, quality, & love. I feel I am ready to start my journey as a celebrant now, and I will deliver with love and kindness. I know that with Veronika’s & Paul’s continued guidance, I will grow and become a celebrant whose service is delivered from the heart. If I could become a fraction of the celebrant of where Veronika is at, then I will be a great celebrant. Veronika & Paul, thank you. I had the privilege of shadowing Veronika yesterday at a woodland burial in Carlisle. It was great to hear how much the words healed. First time I’ve heard people saying how wonderful the funeral was as they left the beautiful woodland setting. I want to share that this evening I did my first ceremony since my training and it was spectacular. Okay, okay, the ceremony was actually my own, AND I still want to share and honour how beautiful it was. I really loved how all went. 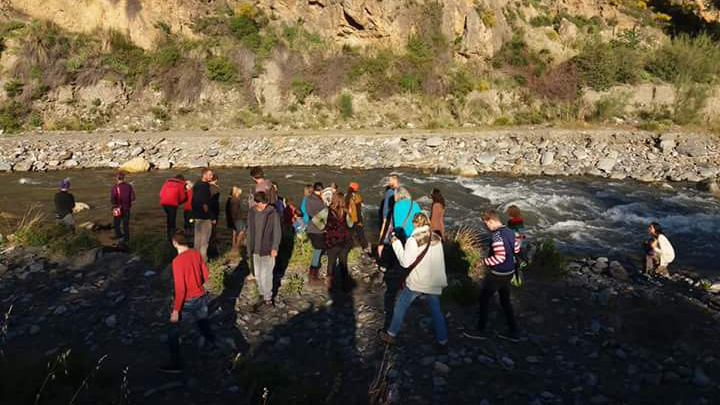 We had a Farewell Ceremony to honour that we are leaving our life in Spain and moving to the U.S. Ha- it is exactly the kind of family I’d like to do ceremonies for – I got to fill it with as much Nature-loving stuff as I liked, openly calling in the four directions with a group of people who didn’t necessarily know that aspect of me, tying our intentions on a May Pole (as it is Beltane today), and picking a flower and having a procession from a field to the river to send our wishes for the world down the river. It was outdoors (though rain, and snow (in May – outrageous for Andalusia) had me wondering, and only a big break and Massive Sunshine outpouring kept us in the field filled with daisies, and birdsong. It seriously couldn’t have been more epic, and fulfilling. All the rituals we did felt really authentic, and like they were working magic – fulfilling their intention of sending us with a Fare Thee Well. We had small cards cut out like leaves of the kinds of trees we have here – orange, fig, ivy, eucalyptus – and people wrote their blessings with the cards to be taken by the family and drawn as a daily inspiration as they move. I had a translator for the Spanish speakers. One woman read a Rumi poem – The Guest House (which was also printed on a card with a beautiful painting by a friend for all to take home a copy), another sang a Sufi prayer in Arabic, and a woman chanted a Ganesha chant in Sanskrit with a drummer while breast feeding her baby to sleep. Pretty hippy I guess, though actually it really wasn’t. AND really powerful for all – even the very seemingly ‘straight-laced’ folks in the bunch. All seemed really happy and many moved to tears. That I guess was the big lesson – if I really go for what moves me, and don’t worry too much about what people will think, how does it go? Great. And how to support clients in that fear, of giving themselves what they want. I had the two most conservative elders in the position of standing in the center of the circle, holding the May Pole while everyone tied their intentions on it. They loved it! So, I know doing a ceremony for myself doesn’t quite count as my first – AND it was hugely informative and transformative. 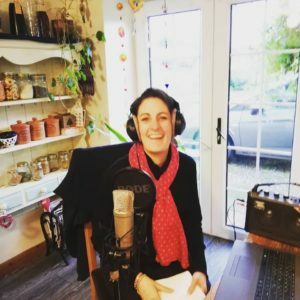 It also helped me see what I like to do – and think about how I can attract the clientele that would simply love what I do, instead of trying to fit into a picture of something I’m not. 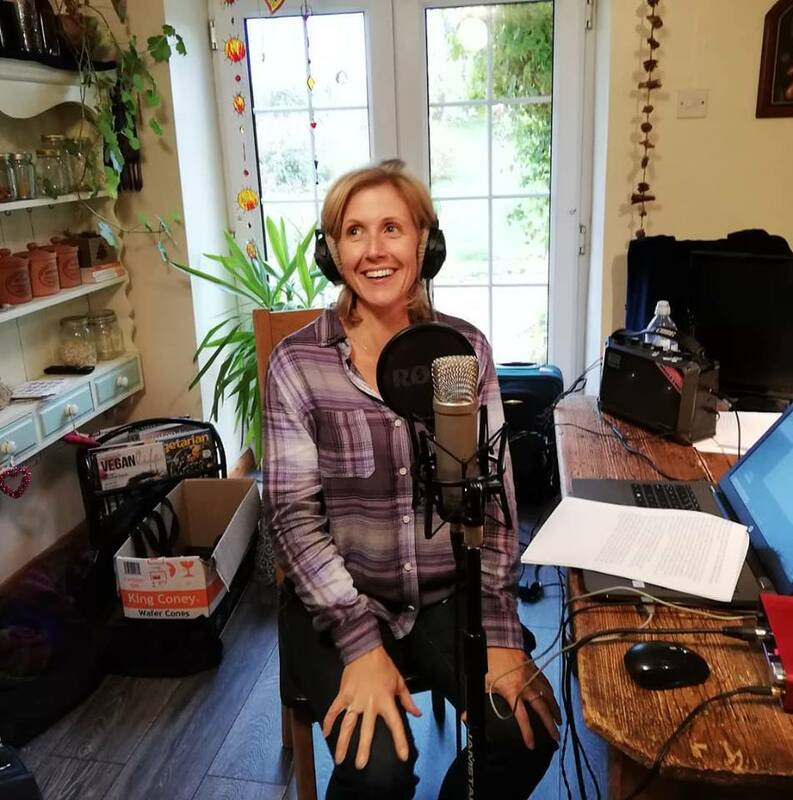 Massive thanks to Veronika and Paul, again, for the deeping of experience, and most of all, the HUGE boost in confidence to really FEEL into my Heart and Go For It. I’ve done it and I’m to the moon with happy.